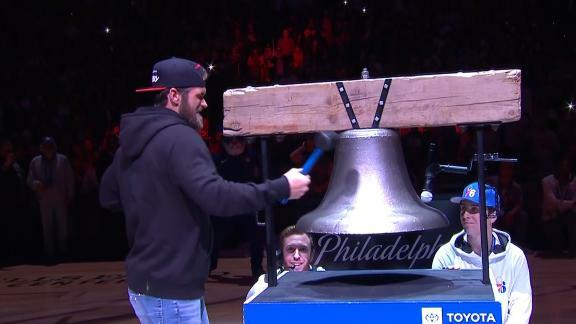 Before the start of the 76ers' game against the Bucks, Bryce Harper makes an appearance to ring the bell. 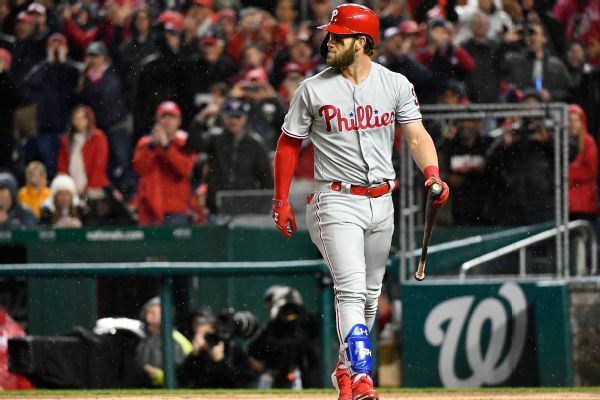 Russillo talks to Will Cain about his first year in radio and what it's like being everyone's favorite guy to hate at ESPN, plus we get a "life coach" update. 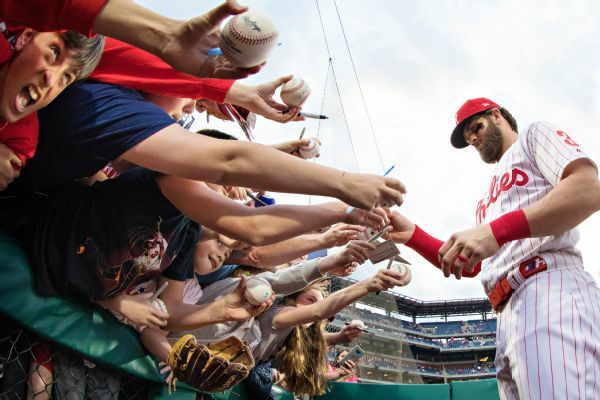 Bryce Harper reflects on his first game back in Washington since signing with the Phillies in the offseason. 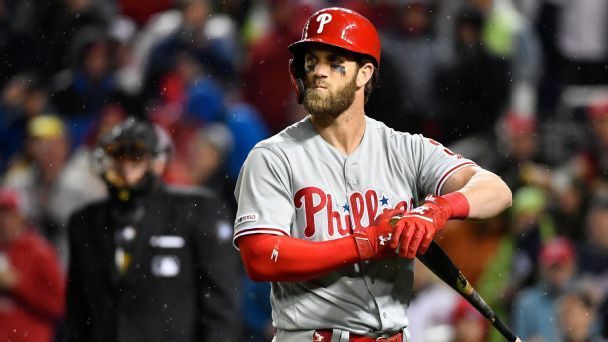 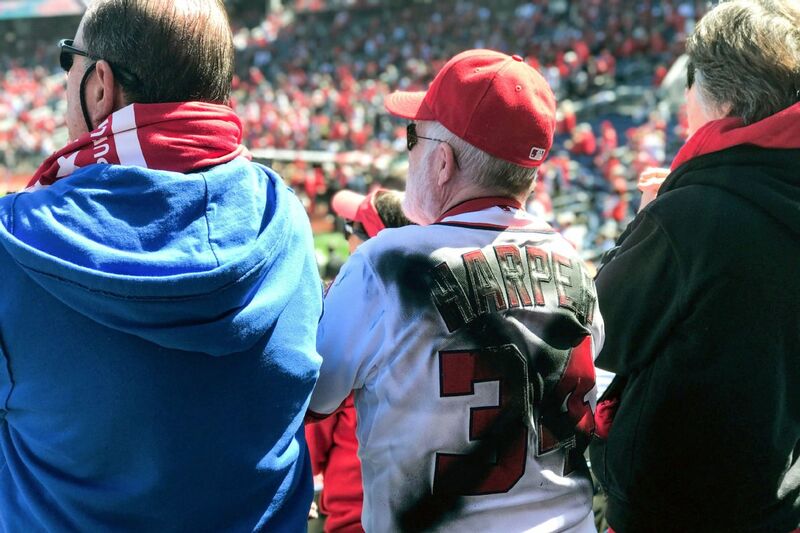 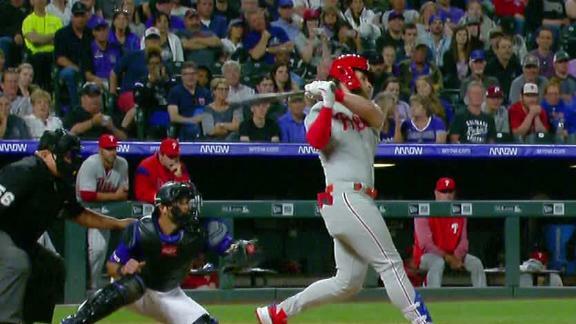 Former Nationals star Bryce Harper made his return to D.C. on Tuesday night as a member of the Phillies and was booed lustily throughout the night. 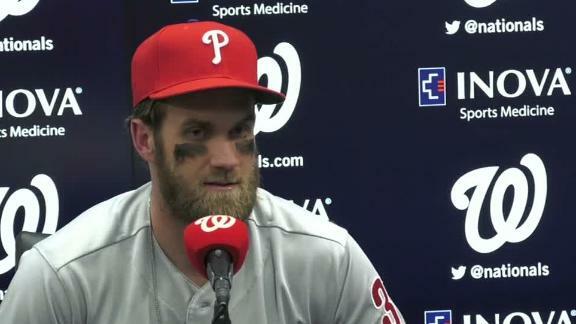 But Harper would get the last laugh, launching a mammoth, two-run homer in Philadelphia's 8-2 win. 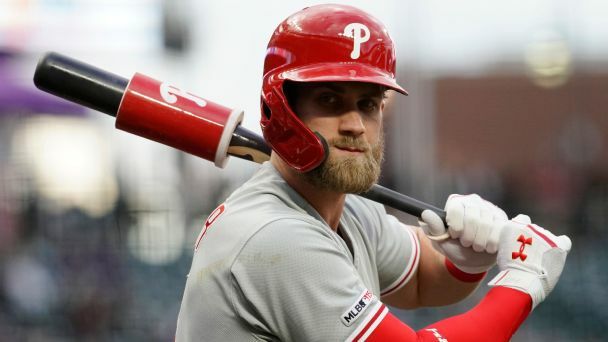 Bryce Harper, now with the Phillies, will be making his first appearance at Nationals Park as a member of the opposition. 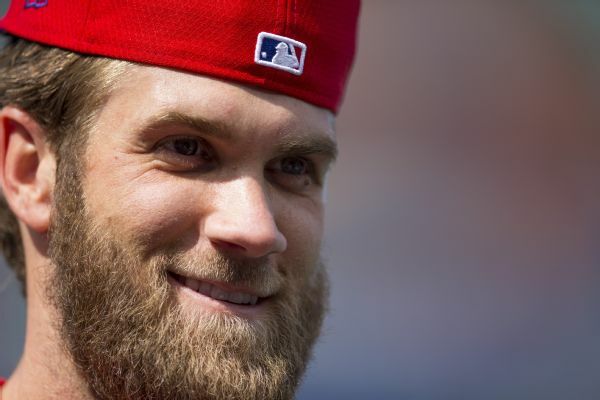 "I will always remember the cheers and the screams that are still with me right now," Harper said on Instagram.